A test fishery for chinook salmon on the Fraser River this year is reporting dismal returns, raising new concerns for the endangered southern resident killer whales who rely heavily on these fish for their survival. The federal government announced in May a reduction in harvest of chinook by roughly one-third and closures in some key whale foraging areas after declaring the southern resident killer whales are facing an imminent threat to their survival. The federal government acknowledges that lack of prey is one of the critical factors affecting the whales’ recovery. But Misty MacDuffee, wild salmon program director for the Raincoast Conservation Foundation, said the daily results from the Albion test fishery on the Fraser had already demonstrated the need for a complete closure of both marine commercial and sport fisheries on chinook, in order to leave prey for the whales. In this Aug. 7, 2018, file photo, southern resident killer whale J50 and her mother, J16, swim off the west coast of Vancouver Island near Port Renfrew, B.C. Since 1981, the fish boat Witch Doctor has conducted the chinook test fishery on the lower Fraser River starting every April. This year, almost no chinook were caught until mid-June, and the summer numbers have been well below average. Chinook salmon are a critical source of food for the southern residents, whose population is believed to have dropped to just 74 whales after the starving young female known as Scarlet disappeared earlier this month despite an unprecedented, cross-border effort to save her. The population has not produced any surviving calves since 2015. It is not clear how chinook runs on other rivers are faring this year, and Ms. MacDuffee said the Department of Fisheries and Oceans (DFO) is not doing enough to chart the in-season returns of the salmon species, making it impossible to say if the harvest levels are sustainable. “The Albion test fishery is the only in-season indicator for chinook returns, and it shows a collapse in the population,” she said. “It’s a crisis. We need to know the salmon are reaching these rivers before the fisheries are conducted." 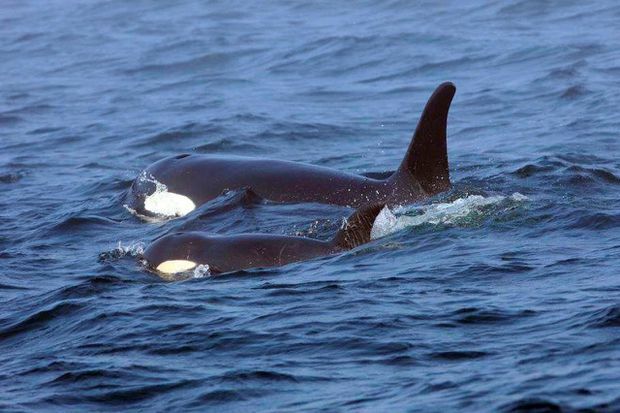 The Raincoast Conservation Foundation is one of six groups that have launched a court action calling for an emergency order from Ottawa to protect the southern resident killer whales, including an outright ban on fishing in key areas until chinook stocks can recover. Ottawa has announced an action plan to protect the whales, and is conducting public consultation on further protected habitat zones. The government has not responded to the court case, but maintains that its action plan for the whales meets the requirements for the Species At Risk Act. Ottawa has announced a $167-million whales initiative that includes funding to develop waste water treatment facilities, trials to reduce acoustic disturbances, and new research on pollution and noise that are affecting the whales. But the conservation groups say the southern resident killer whales face extinction under current conditions and those measures don’t go far enough. Mr. Taylor, who spent 30 years in the commercial fishing sector in B.C., said DFO does not need to close the chinook fishery entirely, but there needs to be more in-season tracking of chinook so that they can determine where it is sustainable to conduct a fishery. He added the reductions in the fisheries are not credible, because DFO doesn’t have the resources to measure whether they are leaving enough fish for the whales. “The minister said they cut fisheries – after the key, spring runs – and they are imaginary cuts because there is no way to monitor. At this rate, the Department of Fisheries and Oceans is going to manage the chinook to extinction." In a statement, Frank Stanek, a DFO spokesman, said the government will not comment on the legal action because it is before the courts, but was committed to protecting species that face imminent threats to their survival.